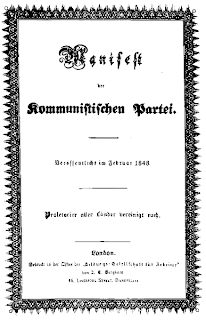 In the 19th century, 'The Communist Manifesto' (1848), by Karl Marx and Friedrich Engels, called for the international political unification of the European working classes in order to achieve a Communist revolution; and proposed that, because the socio-economic organization of communism was of a higher form than that of capitalism, a workers’ revolution would first occur in the economically advanced, industrialized countries. 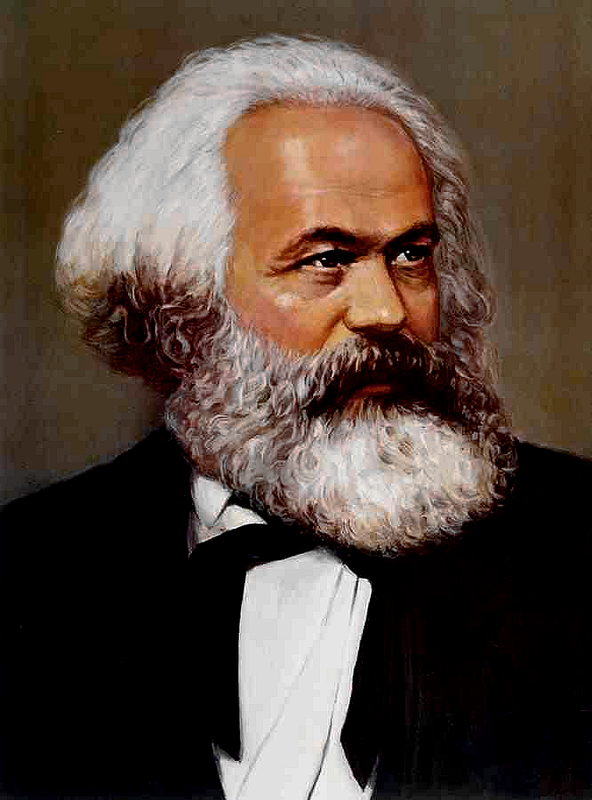 Karl Heinrich Marx, (5 May 1818 – 14 March 1883) was a Prussian-German Jewish philosopher of history and economist. His ideas played a significant role in the establishment of the social sciences and the development of the socialist movement. Marx's work in economics laid the basis for our understanding of labor and its relation to capital, and has influenced much of subsequent economic thought. He published numerous books during his lifetime, the most notable being 'The Communist Manifesto' (1848) and 'Capital' (1867–1894). 'Das Kapital, Kritik der politischen Ökonomie' (Capital: Critique of Political Economy), by Karl Marx, is a critical analysis of political economy, meant to reveal the economic laws of the capitalist mode of production - in three volumes. The purpose of 'Capital: Critique of Political Economy' (1867) was a scientific foundation for the politics of the modern socialist movement; the analyses were meant "to bring a science, by criticism, to the point where it can be dialectically represented" and so "reveal the law of motion of modern society" to describe how the capitalist mode of production was the precursor of the socialist mode of production. The argument is a critique of the classical economics of Adam Smith, David Ricardo, John Stuart Mill, and Benjamin Franklin, drawing on the dialectical method that G.W.F. 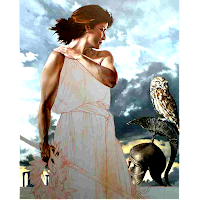 Hegel developed in ('Wissenschaft der Logik' ('The Science of Logic') and 'Phänomenologie des Geistes' ('The Phenomenology of Spirit'); other intellectual influences upon Capital Comte de Saint-Simon, Pierre-Joseph Proudhon; and the Greek philosophers, especially Aristotle. At university, Marx wrote a dissertation comparing the philosophy of nature in the works of the pre-Socratic philosophers Democritus (ca. 460–370 BC) and Epicurus (341–270 BC). The logical architecture of Capital: Critique of Political Economy is derived in part from the 'Politics' and the 'Nicomachean Ethics' of Aristotle, including the fundamental distinction between use value and exchange value, and the circulation of value as capital. Moreover, the description of machinery, under capitalist relations of production, as "self-acting automata" derives from Aristotle’s speculations about inanimate instruments capable of obeying commands as the condition for the abolition of slavery. In the nineteenth century, Karl Marx’s research of the available politico-economic literature required twelve years, usually in the British Library, London. The results were the creation of 'Dialectical Materialism' and what is now known as 'Marxism' - which prophesied the eventual emergence of an eschatological state, which Marx described as 'Communism'. It is, therefore a misnomer to refer to 'Communist Russia', the 'Communist Party' etc, as Communism, as described by Marx has, so far, never been achieved. 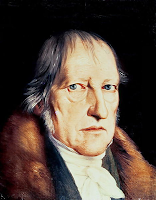 Georg Wilhelm Friedrich Hegel (August 27, 1770 – November 14, 1831) was a German philosopher, and a major figure in German Idealism. His historicist and idealist account of reality revolutionized European philosophy and was an important precursor to Continental philosophy and Marxism. Hegel developed a comprehensive philosophical framework, or "system", of Absolute Idealism to account in an integrated and developmental way for the relation of mind and nature, the subject and object of knowledge, psychology, the state, history, art, religion, and philosophy. In particular, he developed the concept that Spirit manifested itself in a set of contradictions and oppositions that it ultimately integrated and united, without eliminating either pole or reducing one to the other. Examples of such contradictions include those between nature and freedom, and between immanence and transcendence. Hegel influenced writers of widely varying positions, including both his admirers (Feuerbach, T. H. Green, Baur, Marx, Engels, F. H. Bradley) and his detractors (Schopenhauer, Herbart, Schelling, Kierkegaard, Stirner, Nietzsche). His influential conceptions are of speculative logic or "dialectic", "absolute idealism", "Spirit", negativity, sublation (Aufhebung in German), the "Master/Slave" dialectic, and the importance of history. The Young Hegelians, were a group of German intellectuals who, in the decade or so after the death of Georg Wilhelm Friedrich Hegel in 1831, wrote and responded to his legacy. The Young Hegelians drew on his idea that the purpose and promise of history was the total negation of everything conducive to restriction of freedom and irrationality to mount radical critiques of first religion and then the Prussian political system. They ignored anti-utopian aspects of his thought that suggested the world has already essentially reached perfection. After his studies, he wrote for a radical newspaper in Cologne, and began to work out his theory of dialectical materialism. He moved to Paris in 1843, where he began writing for other radical newspapers and met Fredrick Engels, who would become his life-long friend and collaborator. Friedrich Engels (28 November 1820 – 5 August 1895) was a German social scientist, author, political theorist, philosopher, and father of 'Marxist Theory', alongside Karl Marx. In 1845 he published 'The Condition of the Working Class in England', based on personal observations and research. In 1848 he co-authored 'The Communist Manifesto' with Karl Marx, and later he supported Marx financially to do research and write 'Das Kapital'. After Marx's death Engels edited the second and third volumes. Additionally, Engels organized Marx's notes on the "Theories of Surplus Value" and this was later published as the "fourth volume" of 'Kapital'. 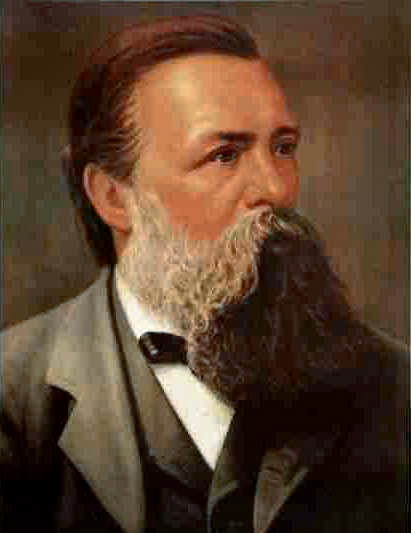 Engels was born on November 28, 1820 in Barmen, Prussia (now Wuppertal, Germany). At the time, Barmen was an expanding industrial metropole, and Frederick was the eldest son of a wealthy German cotton manufacturer. His father, Friederich, Sr., was an evangelical. Accordingly, Engels was raised 'Christian Pietist'. As he grew up, his relationship with his parents became strained because of his atheist beliefs. 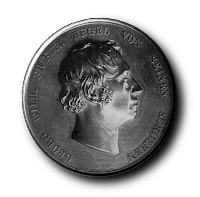 As a teenager Engels began reading the philosophy of Hegel, whose teachings had dominated German philosophy at the time. In September 1838, he published his first work, a poem entitled 'The Bedouin', in the 'Bremisches Conversationsblatt' No. 40. In 1841, Engels joined the Prussian Army as a member of the Household Artillery. 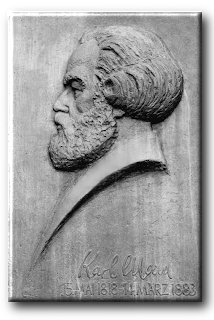 This position moved him to Berlin where he attended university lectures and began to associate with groups of Young Hegelians. Throughout his lifetime, Engels would point out that he was indebted to German philosophy because of its effect on his intellectual development. In 1842, the 22-year-old Engels was sent by his parents to Manchester, England, to work for the "Ermen and Engels' Victoria Mill" in Weaste which made sewing threads. While in Manchester, Engels wrote his first economic work called "Outline of a Critique of Political Economy", written between October and November 1843. Engels sent the article to Paris, where Marx published it in the 'Deutsch-Französische Jahrbücher'. Engels also wrote a three part series of articles called "The Condition of England" in January, February and March 1844. After a productive stay in Britain, Engels decided to return to Germany in 1844. On the way, he stopped in Paris to meet Karl Marx, with whom he had an earlier correspondence. Marx had been living in Paris since late October 1843 following the banning of the 'Rheinische Zeitung' by Prussian governmental authorities in March 1843. Prior to meeting Marx, Engels had established himself as a fully developed materialist and scientific socialist in his own right independent of Marx's philosophical development. In Paris, Marx was now publishing the 'Deutsch-Französische Jahrbücher'. Engels first met Marx at the Café de la Régence on the Place du Palais, 28 August 1844. The two immediately became close friends and would remain so their entire lives. Marx was expelled from Paris by French authorities on February 3, 1845 and settled in Brussels with his wife and one daughter. Having left Paris on September 6, 1844, Engels returned to his home in Barmen, Germany, to work on his 'The Condition of the English Working Class', which was published in late May 1845. Even before the publication of his book, Engels moved to Brussels in late April 1845, to collaborate with Marx on another book, 'German Ideology'. While living in Barmen, Engels began making contact with Socialists in the Rhineland to raise money for Marx's publication efforts in Brussels, however, these contacts became more important as both Marx and Engels began political organizing for the 'German Workers Party'. 'Die Deutsche Ideologie' - (German Ideology) is a book written by Karl Marx and Friedrich Engels around April or early May 1846. The work was only published for the first time in 1932 by David Riazanov through the Marx-Engels Institute in Moscow. The work is a restatement of the 'theory of history' Marx was beginning to call the "materialist conception of history". Since its first publication, Marxist scholars have found the work particularly valuable since it is perhaps the most comprehensive statement of Marx's 'Theory of History' stated at such length and detail. To illustrate his theoretical framework, Marx draws on his formulation of 'base and superstructure'. Historical development is the reflection of changes in the economic and material relations of the base. When the base changes, a revolutionary class becomes the new ruling class that forms the superstructure. During revolution, the revolutionary class makes certain that its ideas appeal to humanity in general so that after a successful revolution these ideas appear natural and universal. These ideas, which the superstructural elements of society propagate, then become the governing ideology of the historical period. Furthermore, the governing ideology mystifies the economic relations of society and therefore places the proletariat in a state of false consciousness that serves to reproduce the working class. From 1845 to 1848, Engels and Marx lived in Brussels, spending much of their time organizing the city's German workers. Shortly after their arrival, they contacted and joined the underground 'German Communist League'. 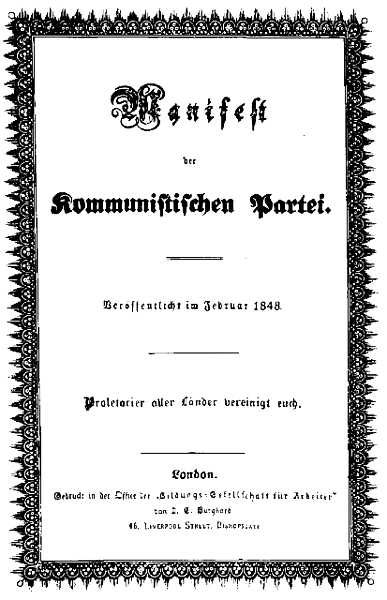 The 'Communist League' commissioned Marx and Engels to write a pamphlet explaining the principles of communism. This became 'The Manifesto of the Communist Party', better known as the 'Communist Manifesto'. It was first published on 21 February 1848 and ends with the world famous phrase: "Let the ruling classes tremble at a Communistic revolution. The proletariat have nothing to lose but their chains. They have a world to win ... Working Men of All Countries, Unite !" There was a revolution in France in 1848 that eventually spread to other Western European countries. This event caused Engels and Marx to go back to their home country of Prussia, specifically the city of Köln (Cologne). While living in Köln they created and served as editors for a new daily newspaper called the 'Neue Rheinische Zeitung'. During the June 1849 Prussian coup d'état the newspaper was suppressed. After the coup, Marx lost his Prussian citizenship, was deported, and fled to Paris. Marx then moved to London together with his wife and children, where he continued writing and formulating his theories about social and economic activity. At the same time Engles fled to Switzerland, and then to London.where he joined Marx. Once Engels made it to Britain, he decided to re-enter the Manchester company in which his father held shares, in order to be able to support Marx financially so he could work on his masterpiece "Das Kapital". Engels didn't like the work but did it for the good of the cause. In 1870, Engels moved to London where he and Marx lived until Marx's death in 1883. His London home during this period and until his death was 122 Regent's Park Road, Primrose Hill, NW1. Marx's first London residence was a cramped apartment at 28 Dean Street, Soho. From 1856, he lived at 9 Grafton Terrace, Kentish Town, and then in a tenement at 41 Maitland Park Road from 1875 until his death. Marx's theories about society, economics and politics—collectively known as 'Marxism'—hold that human societies progress through 'class struggle': a conflict between an ownership class that controls production and a proletariat that provides the labour for production. He called capitalism the "dictatorship of the bourgeoisie," believing it to be run by the wealthy classes for their own benefit; and he predicted that, like previous socioeconomic systems, capitalism produced internal tensions which would lead to its self-destruction and replacement by a new system: socialism. He argued that under socialism society would be governed by the working class in what he called the "dictatorship of the proletariat", the "workers' state" or "workers' democracy". He believed that socialism would eventually be replaced by a stateless, classless society called communism. 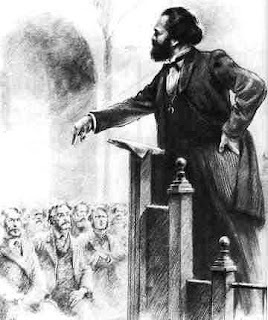 Along with believing in the inevitability of socialism and communism, Marx actively fought for the former's implementation, arguing that social theorists and underprivileged people alike should carry out organised revolutionary action to topple capitalism and bring about political and socio-economic change. Of Engles, Vladimir Lenin wrote: "After his friend Karl Marx, Engels was the finest scholar and teacher of the modern proletariat in the whole civilised world.... In their scientific works, Marx and Engels were the first to explain that socialism is not the invention of dreamers, but the final aim and necessary result of the development of the productive forces in modern society. All recorded history hitherto has been a history of class struggle, of the succession of the rule and victory of certain social classes over others." Marx's ideas have had a profound impact on world politics and intellectual thought. His work gave birth to modern sociology, has had a lasting legacy in economic thought, and profoundly affected philosophy, literature, the arts, and almost all of the academic disciplines. Karl Löwith considered Marx and Søren Kierkegaard to be the two greatest Hegelian philosophical successors. In social theory, twentieth and twenty-first centuries thinkers have pursued two main strategies in response to Marx. One move has been to reduce it to its analytical core, known as 'Analytical Marxism', which came at the cost of sacrificing its most interesting and perplexing ideas. Another, more common move has been to dilute the explanatory claims of Marx's social theory, and to emphasize the "relative autonomy" of aspects of social and economic life not directly related to Marx's central narrative of interaction between the development of the "forces of production" and the succession of "modes of production." Such has been, for example, the 'Neo-Marxist' theorizing adopted by historians inspired by Marx's social theory, such as E.P. Thompson and Eric Hobsbawm. Followers of Marx have frequently debated among themselves over how to interpret Marx's writings and apply his concepts to the modern world. The legacy of Marx's thought has become contested between numerous tendencies, each of which sees itself as Marx's most accurate interpreter. In the political realm, these tendencies include Leninism, Stalinism, Trotskyism, and Maoism. Various currents have also developed in academic Marxism, often under influence of other views, resulting in structuralist Marxism, historical Marxism, phenomenological Marxism, Analytical Marxism and Hegelian Marxism. A prime feature of Marxist revolutionary praxis is the Theory of the Vanguard Party. A vanguard party is a political party at the fore of a mass-action political movement and of a revolution. In the praxis of political science, the concept of the vanguard party, composed of professional revolutionaries, was first effected by the Bolshevik Party in the Russian Revolution of 1917. Lenin (Vladimir Ilyich Ulyanov), the first leader of the Bolsheviks, coined the term vanguard party, and argued that such a party was necessary in order to provide the practical and political leadership that would impel the proletariat (urban workers and peasants) to achieve a communist revolution, hence, as a political-science concept and term, vanguard party most often is associated with Leninism; however, similar concepts (under different names) also are present in other revolutionary ideologies. According to Vladimir Lenin, the purpose of the vanguard party is to establish a dictatorship of the proletariat; supported by the working class. The change of ruling class, from the bourgeoisie to the proletariat, makes possible the full development of socialism. In early 20th century Russia, Lenin argued that the vanguard party would lead the revolution to depose the incumbent Tsarist government, and transfer government power to the working class. In the pamphlet 'What is to be Done ?' (1902), Lenin said that a revolutionary vanguard party, mostly recruited from the working class, should lead the political campaign, because it was the only way that the proletariat could successfully achieve a revolution; unlike the economist campaign of trade union struggle advocated by other socialist political parties and later by the anarcho-syndicalists. Like Karl Marx, Lenin distinguished between the two aspects of a revolution, the economic campaign (labour strikes for increased wages and work concessions), which featured diffused plural leadership; and the political campaign (socialist changes to society), which featured the decisive revolutionary leadership of the Bolshevik vanguard party. As he surveyed the European milieu in the late 1890s, Lenin found several theoretic problems with the Marxism of the late 19th century. Contrary to what Karl Marx had predicted, capitalism had become stronger in the last third of the 19th century. In Western Europe, the working class had become poorer, rather than becoming politically progressive, thinking people; hence, the workers and their trade unions, although they had continued to militate for better wages and working conditions, had failed to develop a revolutionary class consciousness, as predicted by Marx. To explain that undeveloped political awareness, Lenin said that the division of labour in a bourgeois capitalist society prevented the emergence of a proletarian class consciousness, because of the ten-to-twelve-hour workdays that the workers laboured in factories, and so had no time to learn and apply the philosophic complexities of Marxist theory. Finally, in trying to effect a revolution in Tsarist Imperial Russia (1721–1917), Lenin faced the problem of an autocratic régime that had outlawed almost all political activity. Although the Tsarist autocracy could not enforce a ban on political ideas, until 1905 — when Tsar Nicholas II (1894–1917) agreed to the formation of a national duma — the Okhrana, the Tsarist secret police, suppressed every political group seeking social and political changes, including those with a democratic program. To counter such political conditions, Lenin said that a professional revolutionary organisation was necessary to organise and lead the most class-conscious workers into a politically coherent movement. About the Russian class struggle, in the book 'What Is to Be Done ?' (1902), against the “economist” trend of the socialist parties (who proposed that the working class would develop a revolutionary consciousness from demanding solely economic improvements), Lenin said that the “history of all countries bears out the fact that, through their own powers alone, the working class can develop only a trade-union consciousness”; and that under reformist, trade-union leadership, the working class could only engage spontaneous local rebellions to improve their political position within the capitalist system, and that revolutionary consciousness developed unevenly. Nonetheless, optimistic about the working class’s ability to develop a revolutionary class consciousness, Lenin said that the missing element for escalating the class struggle to revolution was a political organisation that could relate to the radicalism of political vanguard of the working class, who then would attract many workers from the middling policies of the reformist leaders of the trade unions. It is often believed that Lenin thought the bearers of class consciousness were the common intellectuals who made it their vocation to conspire against the capitalist system, educate the public in revolutionary theory, and prepare the workers for the proletarian revolution and the dictatorship of the proletariat that would follow, yet, unlike his Menshevik rivals, Lenin distinguished himself by his hostility towards the bourgeois intelligentsia, and was routinely criticised for placing too much trust in the intellectual ability of the working class to transform society through its own political struggles. Like other political organisations that sought to change Imperial Russian society, Lenin's Bolshevik Party resorted to conspiracy, and operated in the political underground. Against Tsarist repression, Lenin argued for the necessity of confining membership to people who were professionally trained to combat the Okhrana secret police; however, at its core, the Bolshevik Party was an exceptionally flexible organisation who pragmatically adapted policy to changing political situations. After the Revolution of 1905, Lenin proposed that the Bolshevik Party "open its gates" to the militant working class, who were rapidly becoming political radicals, in order for the Party to become a mass-action political party with genuine roots in the working class movement. 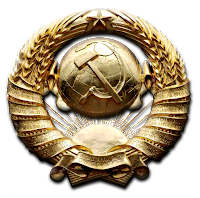 The concept of a vanguard party was used by the Bolsheviks to justify their suppression of other parties. They took the line that since they were the vanguard of the proletariat, their right to rule could not be legitimately questioned. Hence, opposition parties could not be permitted to exist. From 1936 onward, Communist-inspired state constitutions enshrined this concept by giving the Communist parties a "leading role" in society—a provision that was interpreted to either ban other parties altogether or force them to accept the Communists' guaranteed right to rule as a condition of being allowed to exist. In the 20th century, the Communist Party of the Soviet Union (CPSU) continued regarding itself as the institutionalization of Marxist-Leninist political consciousness in the Soviet Union; therein lay the justification for its political control of Soviet society. 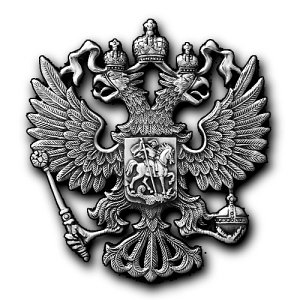 Article 6 of the 1977 Soviet Constitution refers to the CPSU as the "leading and guiding force of Soviet society, and the nucleus of its political system, of all state organizations and public organizations". 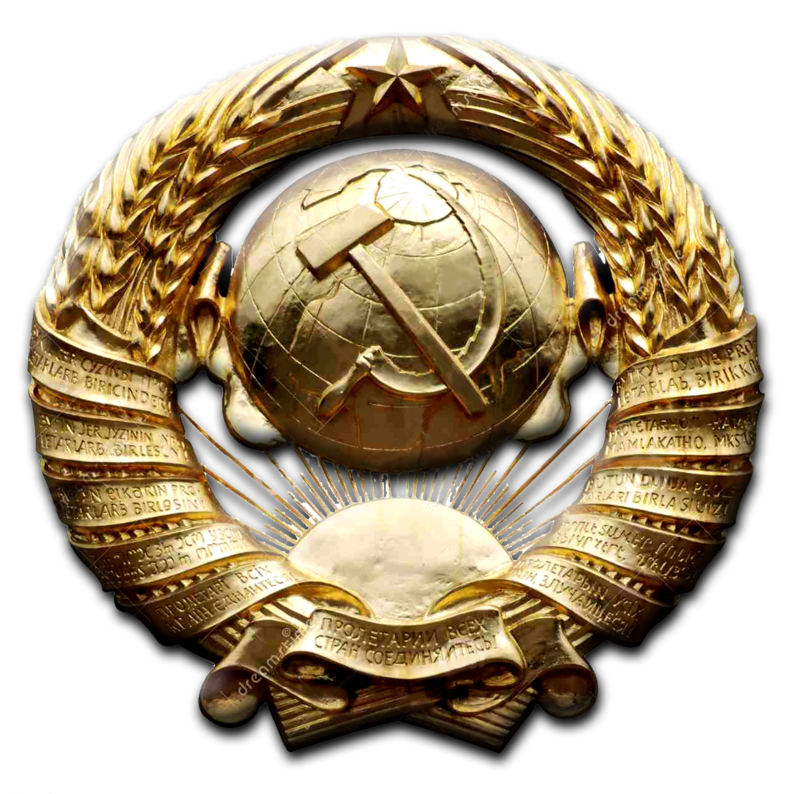 The CPSU, precisely because it was the bearer of Marxist-Leninist ideology, determined the general development of society, directed domestic and foreign policy, and "imparts a planned, systematic, and theoretically substantiated character" to the struggle of the Soviet people for the victory of Communism. Nonetheless, the political role of the vanguard party, as outlined by Lenin, is disputed among the contemporary communist movement. Lenin's contemporary in the Bolshevik Party, Leon Trotsky, further developed and established the vanguard party with the creation of the Fourth International. Trotsky, who believed in worldwide permanent revolution, proposed that a vanguard party must be an international political party who organised the most militant activists of the working classes of the countries of the world. Although the Fourth International faded from the public upon the death of Trotsky, there continued some efforts to revive the concept of an international vanguard party.